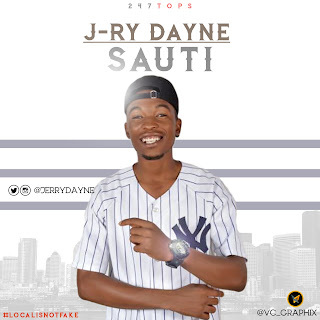 The long wait is over as 247tops presents "SAUTI". This is the first official single from Maidcity Peace Cypher Winner, J-ry Dayne. The song was produced by MC Jones, mixed and mastered by Rocks King. Sauti which means Melody is a track laced with melodious, catchy, peace inspired messages but intense beat that is guaranteed to get people expressing themselves on dance-floor and at fun spots. As usual, the Maidcity and Krockcity Breed punctures the flow with his unique Hausa rap. While enjoying remember 'Local Is Not Fake'.